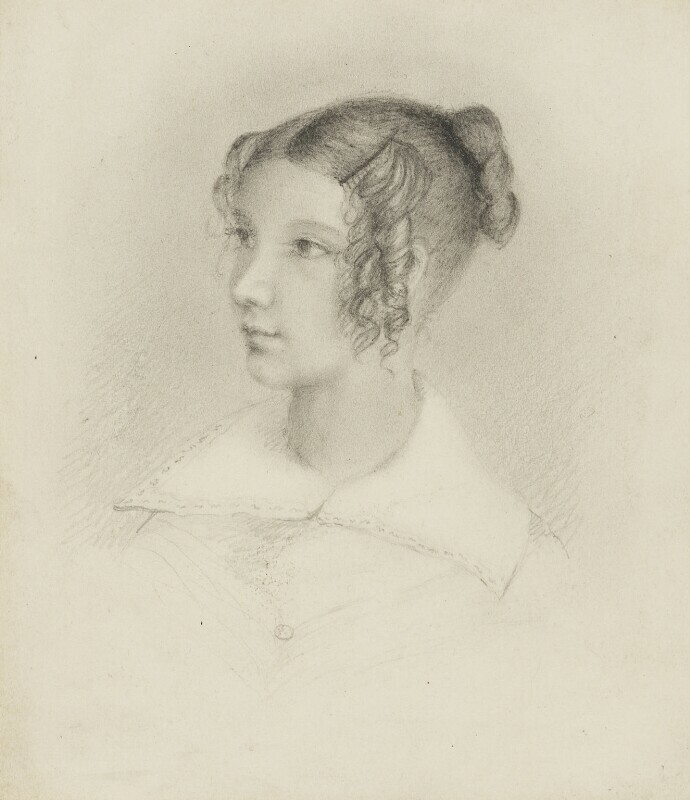 Anna Bottomley (née Thomson) (1820-1856), Sister of Baron Kelvin. Sitter in 1 portrait. Elizabeth King (née Thomson) (1818-1896), Sister of Baron Kelvin; wife of David King. Artist associated with 8 portraits, Sitter in 2 portraits. Strikes, contract breaking and worker intimidation prompt the passing of a new Anti-Trade Union Combination Act to the dismay of economist John McCulloch, MP Joseph Hume and radical Francis Place who had worked for the repeal of the previous year. Catholic Relief Bill is rejected by the House of Lords. Construction of Thames Tunnel begins under the direction of Marc Isambard Brunel. Stockton to Darlington Railway, the world's first passenger system, opens. William Hazlitt publishes The Spirit of the Age; twenty-five pen-portraits of his contemporaries in the world of literature, philosophy and politics. Beethoven's Ninth Symphony premieres in London. John Quincy Adams is elected President of the United States.